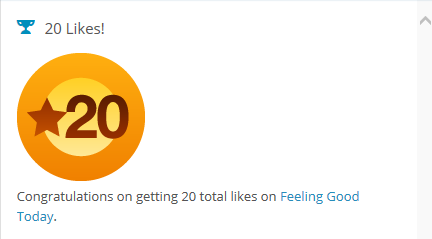 20 Likes on Feeling Good Today! What a delightful surprise it was to check out the blog and find out that I have received 20 likes to date! As a new blogger, I’m very happy to hear this! Thank you, everyone who reads, likes, subscribes, and comments.